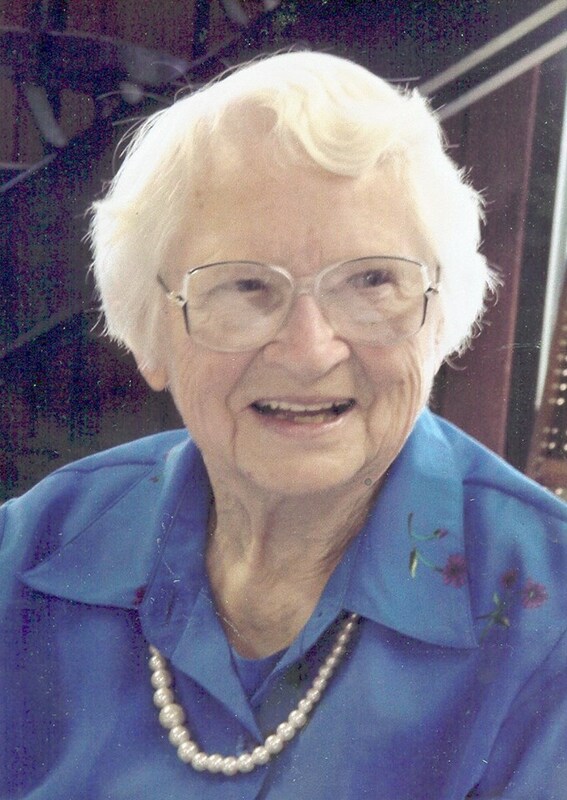 My Grandma Parkinson was an almost-103-year-old spunky woman and could direct and guide her family and those around her to a whole new appreciation of leadership. On April 13, 2015, I learned that this amazing lady joined the heavens and will now lead a bunch of angels to do the best good they can. As I had already planned on the letter “L” being on “Leadership Lessons,” it is only fitting to give these bits as a glimpse of what my Grandma taught me. When others lose hope and think what you are about to do is not “worth a plug nickel,” then you go ahead and prove them wrong. There’s nothing that an old cotter pin couldn’t do. When you are out of rabbit, a squirrel will do just fine. There’s no harm in throwing in a bit of string in the cookie dough. Dig in your heels and get to work. In the November of 1949, the doctor told my Grandma that it was too late to save her two-month-old twins, David and Don, from the whooping cough. The phlegm thickened in their mouths and the sound of “whoop” from trying to breath only predicted the outcome: death. The doctor said, “I don’t give a plug nickel for these boys’ lives.” Grandma was not about to accept this so she kept a constant watch and for four days she hardly slept as she took a flannel-cloth diaper, wrapped it around her finger, and inserted it into the mouths of the two-month-old twins. Sometimes she placed the boys on their tummies on the lower part of her arm. Then, she would swing them upward so that they could breathe again. David and Don lived. David is my Dad. Being a leader is lonely and more people will doubt you than support you. Move forward anyway. What you do will influence and—possibly—save lives. During the Depression, any way a dollar or two could be made was cherished. The farm would still get money from the sale of milk or hogs for the basics, but if Grandma wanted something special for the kids, selling eggs was the answer. Two or three dozen eggs may go for a dollar. So Grandma kept an egg route. Eggs equaled piano lessons for her daughters Nancy and Joanne. With all the financial stress of the time, Grandma knew those piano lessons allowed people to so more than survive those hard times. One day, when Nancy and Grandma went to town for the normal egg route followed by the piano lessons, the truck died. Grandma went to take a look at the truck. “What’s the matter, Mom?” “Well, nothing that an old cotter pin couldn’t do.” Grandma took a safety pin and opened it in such a way so that two parts could be held together. The truck came back to life; they were able to finish their tasks for the day. The best leaders are resourceful with any and all options. This means knowing their people and the talents-big and small-as well as any materials or assets that could come in handy. Some people only value themselves as much as old cotter pins. A leader needs to show them how strong they really are and inspire the extraordinary out of the ordinary. To provide more meat, Grandma sent her son Arnold into the woods next to the farm to hunt for some rabbit. When Grandma made lunches, she usually took some ground-cooked meat, mixed it with mayonnaise, and made it into a sandwich. She used whatever meat that was available. Grandpa hated the taste of squirrel and Grandma had to extra persuasive to get him to eat squirrel. One day, Arnold caught a squirrel. Instead of hassling with Grandpa, she ground up the squirrel and with a twinkle in her eye said, “Now don’t tell your father!” The Parkinson kids were willing accomplices. Grandpa took one bite into that sandwich—then another—then another. He chewed it slower than usual, and Grandma and the kids waited to hear what he would say. “That was good. Could I have another one?” Grandma had to hold in a laugh. She never did reveal the true identity of that meat to Grandpa. A leader has a clear vision of what needs to happen. Sometimes, things do not work out exactly as planned. Then a leader adapts to what can be done and makes the best of it. When presented in the right way, it might even be the better route. Grandma fed the men who helped Grandpa with tasks around the farm. Grandma always had something yummy for them at snack time. She was famous for her saffron breads and popcorn balls as well as for her filled cookies. These cookies would be made from two sugar cookies with raisin filling. It was baked this way. Then sugar would be sprinkled on top. One day, Grandma decided to get creative with her cooking. She added the ingredient of string to the filling. Who knows if any of the men caught on to Grandma’s little prank? Or maybe the men knew they needed more fiber in their diet. A leader needs to have focus to do what needs to be done as long as there is also time for levity. Seek out opportunities to have celebration parties or fun moments in the planning. Bring some delight. With delights comes more willing people to help. One day in 1955, Grandpa fell off the load of hay when the rope of the huge fork came loose. Nancy heard Grandpa groan. Grandma ran to Grandpa on the other side of the barn with great speed. “You go watch that horse, Nancy!” Grandpa made some attempts to shake the fall off. “I’m all right. I’m all right.” But he wasn’t all right. Later in the morning, he was sent to the hospital. Grandma would visit Grandpa every day. He had to get an upper body cast and a neck brace. Between visiting her husband and doing the normal household chores, Grandma now had to take on the chores of the farm. Like any farmwoman, she dug in her heels and set to work. She had four children to watch over the time—Joanne (14), Nancy (11), and the twins, David and Don (6) while Arnold was stationed at the Hickam Air Force Base in Hawaii. Arnold was allowed a hardship discharge and Arnold and Grandma ran the farm. Of course, the farm community helped the Parkinson family through this crisis. Because Grandma showed no fear during this trying time, the kids knew everything would be OK.
One moment can change everything. Instead of grieving over what was lost or what could have been, a great leader has determination to work and recruit others to work to have the situation improve. Be decisive and positive and others will quickly come to your aid. All can be good again. Thank you, Grandma Martha Louise Parkinson. You are an inspiration then, now, and through the eternities. Mi abuela era casi un Parkinson-103-años de edad mujer mejillas regordetas y podía dirigir y guiar a sus familiares y las personas que la rodeaban a toda una nueva apreciación del liderazgo. El 13 de abril de 2015, me enteré de que esta sorprendente señora se unió a los cielos y a un montón de ángeles para hacer el mejor bien que pueden. Como ya había previsto en la letra “L” en el término “Lecciones de Liderazgo”, es justo dar estos bits de echar un vistazo de lo que mi abuela me enseñó. Cuando otros pierden la esperanza y creo que lo que está a punto de hacer no es “vale un centavo”, y luego se van por delante y demostrar que están equivocados. No hay nada de lo que un antiguo pasador de aletas no podía hacer. Cuando usted se encuentra fuera de conejo, una ardilla, bien. No hay nada malo en arrojar un poco de hilo en la masa para galletas. Excavar en los talones y se ponga a trabajar. En noviembre de 1949, el doctor le dijo a mi abuela que era demasiado tarde para salvar sus dos meses de edad los gemelos, David y el Don, de la tos ferina. La flema gruesa en la boca y el sonido de “estertor” de tratar de respirar sólo predice el resultado: la muerte . El médico dijo, “no le doy un centavo para estos muchachos de la vida.” La abuela no estaba como para aceptar esta por lo que mantener una vigilancia constante y por un período de cuatro días que apenas dormía, tomó una franela pañal de tela, envuelto alrededor de su dedo, y lo insertó en la boca de los dos meses de edad los mellizos. A veces, los niños colocan acostados boca abajo en la parte inferior de su brazo. Entonces, ella se giro hacia arriba para que puedan respirar otra vez. David y Don vivido. David es mi papá. Ser un líder es solitario y más gente tenga la menor duda que de apoyo. Avanzar de todos modos. Todo lo que hagas será influencia y posiblemente de salvar vidas. Durante la Gran Depresión, un dólar o dos podría ser muy apreciado. La comunidad seguirá con el dinero de la venta de la leche o los cerdos de los conceptos básicos, pero si la Abuela quería algo especial para los niños, vendiendo huevos era la respuesta. Dos o tres docenas de huevos puede ir un dólar. Por lo que la abuela mantiene un huevo. Huevos igualada clases de piano para sus hijas Nancy y Joanne. Con todas las tensiones en el mercado financiero de la época, la abuela sabía las lecciones de piano que permitió a la gente más que sobrevivir los tiempos difíciles. Un día, cuando Nancy y mi abuela fue a la ciudad para el óvulo normal ruta seguida por las clases de piano, el camión. La abuela fue a echar un vistazo a la carretilla. ” ¿Qué es la materia, Mamá?” “Bueno, no hay nada que un antiguo pasador de aletas no podía hacer.” La abuela tuvo un pasador de seguridad y lo abrió de tal modo que dos partes se podría celebrar juntos. La carretilla ha vuelto a la vida; fueron capaces de terminar sus tareas para el día. Los mejores líderes son ingeniosos con cualquier y todas las opciones. Esto significa conocer sus personas y el talento de grandes y pequeños, así como cualquiera de los materiales o bienes que podrían ser muy útiles. Algunas personas sólo valor tanto como antiguo pasadores de aletas. Un líder tiene que demostrar de qué manera lo que en realidad son fuertes e inspira a los extraordinarios fuera de lo común. Para proporcionar más carne de la Abuela envió a su hijo Arnold en el bosque junto a la comunidad en la búsqueda de un conejo. Cuando la Abuela hace comidas, generalmente se parte de carne cocida, mezclada con mayonesa, y lo han convertido en un sandwich. Sea cual fuere la carne que estaba disponible. El abuelo odiaba el sabor de ardilla y la abuela de persuasión extra para conseguir que comer ardilla. Un día, Arnold atrapados una ardilla. Osea en vez de con el abuelo, la tierra de la ardilla y con una chispa en sus ojos dijo: “y ahora no se lo digan a tu padre!” El Parkinson los niños estaban dispuestos cómplices. El abuelo tuvo un bocado en ese sándwich de, a continuación, otro de otro. Que había masticado, más lenta de lo habitual, y la Abuela y los niños han esperado a escuchar lo que él dice. “Que era bueno. Me gustaría tener otro?” La abuela tuvo que sostener en una carcajada. Nunca hizo revelar la verdadera identidad de esa carne al abuelo. Un líder tiene una visión clara de lo que debe suceder. A veces, las cosas no funcionan exactamente como lo planeado. A continuación, un líder se adapta a lo que se puede hacer y hace lo mejor de ella. Cuando se presenta de manera correcta, incluso podría ser la mejor ruta. La abuela del Abuelo los hombres que ayudaron en las tareas de la granja. La abuela siempre había algo delicioso para ellos a la hora de comer bocados. Ella se hizo famosa por su azafrán pan y palomitas bolas, así como para su llenado las cookies. Estas cookies se hizo de dos galletas de azúcar relleno con pasas. Se cuecen. A continuación se espolvorea azúcar en la parte superior. Un día, la abuela decidió dar rienda suelta a tu creatividad con su cocina. Añadió el ingrediente de la cadena para el relleno. Quién sabe si alguno de los hombres capturados en macetitas de broma? O tal vez los hombres sabían que necesitaban más fibra en su dieta. Un líder debe tener atención a lo que hay que hacer, siempre y cuando también hay tiempo de frivolidad. Buscar oportunidades de tener fiesta partes o momentos de diversión en la planificación. Traer alguna delicia. Con placeres más dispuestos a ayudar. Un día de 1955, el abuelo se cayó la carga de heno cuando la cuerda de la horquilla enorme. Nancy escuchó el Abuelo gime. La abuela se fue corriendo a mi abuelo en el otro lado de las naves de gran velocidad. “Vaya ver ese caballo, Nancy!” El Abuelo hizo algunos intentos de agitar el caerse. “Me siento bien. Estoy bien.” Pero él no estaba bien. Más tarde en la mañana, fue enviado al hospital. La abuela, el abuelo visita cada día. Que tenía que coger una férula de yeso en el cuerpo superior y un cuello ortopédico. Entre visitar a su marido y haciendo lo normal los quehaceres de la casa, la abuela tenía que tomar en las tareas de la granja. Al igual que cualquier farmwoman, excavados en sus tacones y ponerse a trabajar. Tenía cuatro hijos a ver con el tiempo de Joanne (14), Nancy (11), y los gemelos, David y Don (6), mientras que Arnold estaba estacionado en la Base de la Fuerza Aérea Hickam en Hawai. Arnold se permitió una dificultad alta y Arnold y la abuela se ejecutó la granja. Por supuesto, la comunidad agrícola Parkinson ayudó a la familia a través de esta crisis. Porque la abuela no tuvieron temor durante esta difícil época, los niños sabían todo estaría bien. Un momento puede cambiar todo. En lugar de duelo por lo que se ha perdido o lo que podría haber sido un gran dirigente, determinación de trabajar y de reclutar a otros a trabajar para que la situación mejore. Ser decisiva y positiva y otros rápidamente en su ayuda. Todos pueden ser buenos. Muchas gracias, la abuela Martha Louise Parkinson. Sois una inspiración, ahora, y a través de la eternidades.